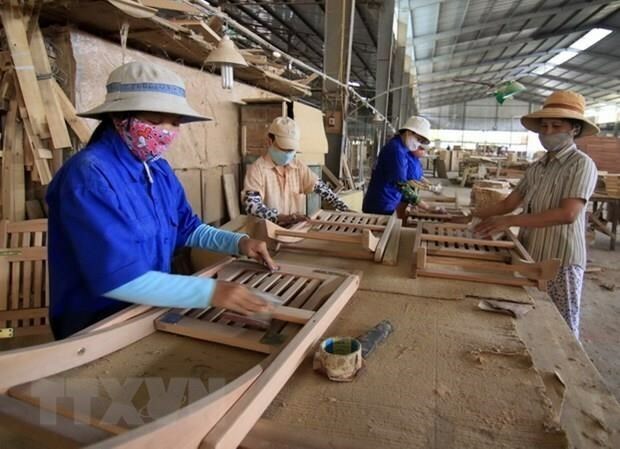 Hanoi (VNA) – Prime Minister Nguyen Xuan Phuc on March 28 issued a Directive on measures to achieve rapid and sustainable development of the wood and non-wood forest product processing industry to serve exports. Wood and non-wood forest products are ranked the sixth most important export product of Vietnam and had average annual growth rate of 13 percent during 2010-2018. Last year, Vietnam earned 9.38 billion USD from exporting wood and non-wood forest products, up 15.9 percent against the previous year and making up almost a quarter of the agriculture sector’s export turnover. Vietnamese wood products have been sold to more than 120 nations and territories. The country is the fifth largest exporter of wood in the world and second in Asia, accounting for 6 percent of the world’s market share. The country now has about 4,500 wood processing and forestry businesses, and 1 million households involved in afforestation. Therefore, developing the wood and non-wood forest product processing industry will boost afforestation and environmental protection, create sustainable livelihoods and contribute to the forestry sector’s restructuring programme. However, the sector faces various challenges, including international trade conflicts, regular changes and adjustments in policies of material exporters and wood and non-wood forest product importers. Investment in developing national brands of wood products has been limited, while Vietnam’s participation in free trade agreements and international treaties offers not only opportunities, but also challenges for the sector. Therefore, in the directive, PM Phuc asked businesses to use legal materials, apply advanced technologies and modern equipment in processing, and ensure environment-related requirements in production.